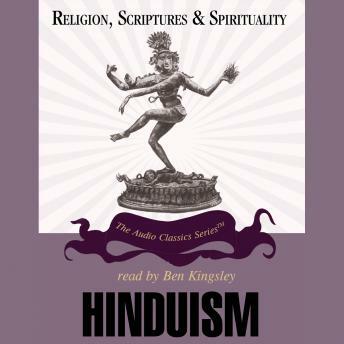 Hinduism is a very broad term for the religious practices and doctrines of the Indian people. This tradition is believed to have begun in about 1800 BCE with religious poems known as the Vedas. The large Vedic library includes the Samhitas and the Brahmanas; the Upanishads, the last books of the Vedas, began to reject many of ancient India's religious ideas in the early centuries CE. The Upanishads established such basic practices and beliefs as cremation and reincarnation. Buddhism and Jainism had risen in the sixth-century BCE, also in resistance to Vedic religion; each became a separate religion in its own right. While Buddhism would die out within India by the ninth century CE, Jainism continued as a distinct religion, even though over time many of its practices became virtually indistinguishable from Hindu rituals. Hinduism is best known in the West through the doctrines of Advaita, the belief that there is only one ultimate reality. Advaitans, however, worshiped the many icons that represented the separate manifestations of the ultimate Brahman. After the decline of Vedic religion, bhakti devotional cults arose; each sect worshiped a god such as Shiva, Vishnu, Rama, or Krishna. Bhakti devotions have remained a predominant form of Hindu worship up through the modern era. The Sikh movement arose in the early sixteenth century; it also grew to have a significant influence in modern India. Muslim invasions into the Indian subcontinent during the early eleventh century established Islam as yet another religious tradition in India. Hindus and Muslims generally lived in a peaceful co-existence until the nineteenth century. Then, political agitation against Britain's dominion in India led to sectarian conflict. In 1947, the country was partitioned into a predominantly Hindu India, a predominantly Muslim Pakistan, a Buddhist Sri Lanka, and territories for yet other religious minorities. Many different religious systems flourish in India, and it has produced several new religious movements such as transcendental meditation, theosophy, and the Hare Krishna movement.